Hypermatière is a multidisciplinary group set up for Saint-Etienne Human Cities experimentations launched by Cité du design in 2016. Responding to Cité du design call for intitiative (CHOSE), several figures joined their forces: a designer studio and an independent designer: Captain Ludd and Magalie Rastello ; 1 ceramist: Jay Accosta- Valois ; 2 community associations: Amicale Laïque du Crêt de Roch and Rues du Développement Durable ; a gardener: Mathieu Benoit-Gonin. 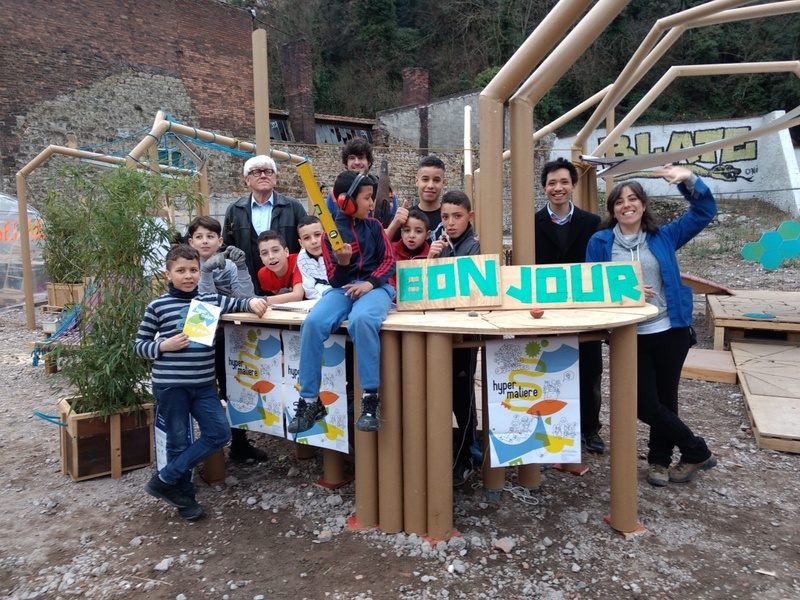 Hypermatière decided to offer mobile, evolutive, reversible and recyclable interventions in the neighbourhood “Cret de Roch”, which is living various renovations in the longer term. The spaces are changing, people uses too: how to enable inhabitants to be creative actors of the transformations of their district, whether than worried spectators ? Through collabora­tive artistic projects and solidarity services, the Hypermatière project allows to highlight a “space in movement” on the scale of a neighbourhood, showing the process and the relevance of contri­buting practices . In 2016-2017, the Hypermatière group organized several workshops to highlight the -sometimes- hidden resources of the district to its inhabitants , collect people needs and feelings about it, make them know that something collective was possible to do. For the Biennale Internationale Design Saint-Etienne 2017, Hypermatière decided to set-up a temporary public – or rather collective – space on a demolition site. As they discovered a hen and rooster living there, the place became “the rooster square”, a place to play and meet during a bit more than one month. The “rooster square” allowed to test the uses of a possible public space in this part of the neighbourhood. During the Biennial, it attracted more than 500 people for the various activities (from barbecues to conferences, including workshops, concerts, etc.). A Brazilian designer, Fernando Mascaro, gave a Masterclass about the “design of feelings”. A musician form Detroit, Ian Tran, was so fond of the place that he decided to make an initiation to violin playing with the children frequenting the place. Taking care and responsibility of this place open to all, some parents proposed to organize an event where they could sell home-made production, other asked if they could organize a birthday afternoon with the children of the surroundings. The workshop with the European partners of the Human Cities project on 13th March allow to test some activities proposed by Hypermatière (construction games ; Minecraft game of the neighbourhood ; botanical and social economy resources itineraries) and to exchange ideas on how to facilitate such urban experimentations in cities. The rooster square demonstrated its capacity to mix populations, cultures, and generations. It proved its function of experimental place at the service of inhabitants. It can be a prototype, giving precious specifications for a potential future public space in the future development of the area. Welcoming international experts, it changed the image of this part of the district, generally barely known even by Saint-Etienne citizens. Now people are convinced that things can happen even there. 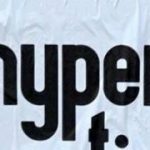 The Hypermatière proved its capacity to be a generator of initiatives for the neighbourhood, participating to a larger movement of alternative economy and development, that can be related to the concept of “contributive economy”. Still a lot of (hyper)material to work in the coming months and years.